Scott Elliott advises a wide range of clients on environmental, health and safety issues. Scott routinely counsels clients in the chemical and energy industries on matters involving major industrial accidents, crisis response, process safety incidents and workplace fatalities. Scott counsels clients with regards to compliance obligations under the US Environmental Protection Agency (EPA)'s Risk Management Program (RMP) regulations issued under the Clean Air Act (CAA), and Process Safety Management (PSM) program regulations by the Occupational Safety & Health Administration (OSHA). He routinely counsels clients on conducting internal investigations. Additionally, Scott also advises clients on enforcement matters involving the Bureau of Safety and Environmental Enforcement (BSEE). Scott has helped clients respond to investigations by OSHA, the EPA, the Chemical Safety Board (CSB), the Department of Justice (DOJ), the BSEE and state regulatory agencies. Scott also counsels companies on environmental, health and safety (EHS) culture and the management of process safety. He routinely advises energy companies on emerging regulatory requirements and systems for overseeing EHS performance. 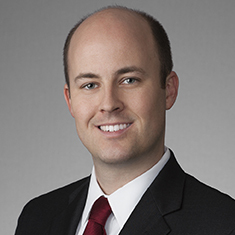 In 2019, Scott was selected to sit on Law360's Environmental Editorial Advisory Board. Representation of a Fortune 50 chemical manufacturer in connection with an EPA multimedia inspection. Provision of advice to energy companies on EPA and OSHA proposed rulemaking regarding RMP and PSM regulations. Representation of a Fortune 50 integrated energy company with respect to investigations and subsequent enforcement by Cal/OSHA. Representation of a Fortune 50 integrated energy company following a refinery fire, including before the CSB, the EPA and state agencies. Representation of a Fortune 50 integrated energy company with respect to a furnace explosion resulting in a fatality and investigations by OSHA, the CSB and the EPA, including subsequent enforcement. Representation of a midstream energy company in connection with an OSHA investigation that resulted in subsequent enforcement. Representation of numerous petroleum refiners and chemical manufacturers in EPA Risk Management Program inspections. Representation of multinational automotive manufacturer in enterprise-wide compliance assurance and safety review. Representation of a chemical manufacturer in a fire that injured two employees and resulted in investigations by OSHA and the CSB. Representation of energy companies in connection with environmental criminal investigations.